Wellington: The New Zealand and India cricketers were told to toughen up Thursday and not walk off the field even if they are blinded by the sun and can't see the ball. 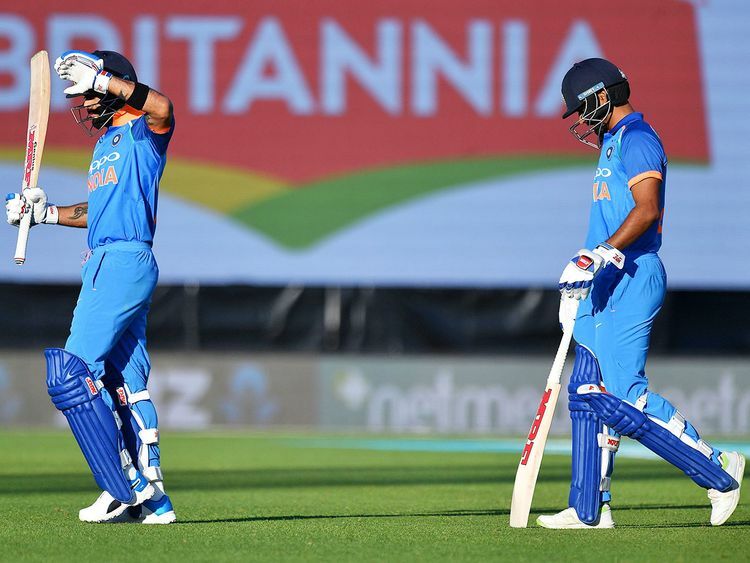 The first one-day international between the two sides was halted for 37 minutes in Napier on Wednesday when the umpires deemed the setting sun made it too dangerous for the players. The problem lay with the McLean Park wicket running east to west rather than in the traditional north-south orientation. The low-lying sun was in the eyes of Indian batsmen Virat Kohli and Shikhar Dhawan who were facing deliveries of up to 150 kilometres per hour (94 mph) fired at them from less than 20 metres away. But an unsympathetic Bill Dalton, the mayor of Napier City that bills McLean Park as the "jewel in the crown" of its sportsgrounds, did not see that as reason enough for the players to leave the field. "To be absolutely honest with you, my view is that these guys are sportsmen who play outside. If they get a bit of sun in their eyes that's part of the game," Dalton told local media. "It's an outdoor sport and they've got to toughen up... It's all a bit weird to me." 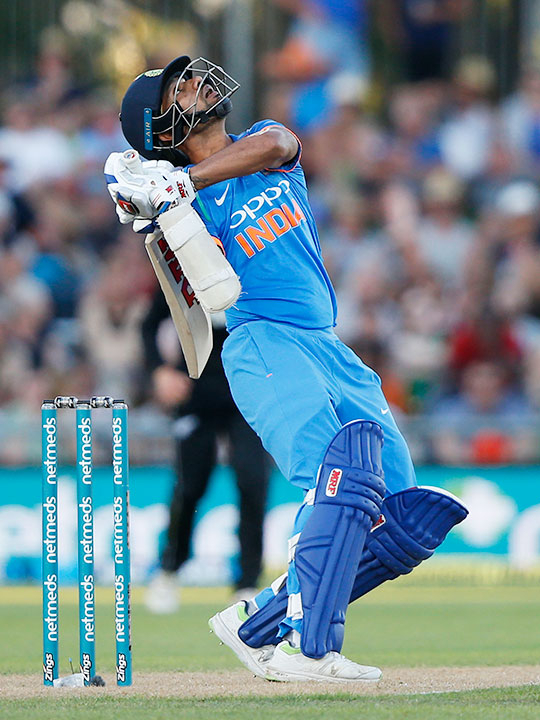 The break in play had little impact on the outcome of the game, which India comfortably won by eight wickets. It is believed to be the first time a cricket international has been interrupted because of too much sun. Umpire Shaun George said he had no choice but to take the players from the field under the cricket rule stating "conditions shall be regarded as dangerous if there is actual and foreseeable risk" to player safety. "We have a setting sun which is directly in the eyes of the batsmen. We have to take into consideration the safety of players, not only the batsmen but the umpires, and the players fielding behind the stumps as well," he said. The rival captains agreed with New Zealand skipper Kane Williamson saying nothing else could be done. "It's hard to move the sun and hard to move the grandstand, we didn't have either of those options so we had to sit down for a bit," Williamson joked. India captain Virat Kohli was glad for the break, recalling he had been dismissed in a game four years ago because the sun was in his eyes.